Four packets of chips. That is all it cost Hackney filmmaker Thomas Williamson to make his critically acclaimed film Who am I? With bucket loads of steely determination (and some help from his friends) he wrote, directed, acted in and produced the film with no budget – his only expense being chips for the cast and crew. Now, 24-year-old Thomas has been awarded funding of £300 by O2’s Think Big initiative to enable him to make part two of Who am I? Thomas, who grew up in Stoke Newington and still lives there today, was spurred on to make the films by his desire to raise awareness of gun and knife crime in the borough. For him, the day that one of his 20-year-old mates was stabbed by their best friend was an emotional turning point. “When that happened I thought, I’ve got to sit down and write this. And then I just did,” Thomas says. Who am I? 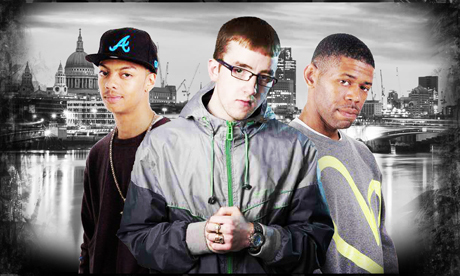 tells the story of two young friends from Hackney and the struggles they face growing up around gang culture. Rather than using professional actors, Thomas sought out friends and local kids around Stoke Newington and Dalston to take part. He wanted to give young and hopeful actors a chance they might otherwise never have. “I know how hard it is to break into the industry, which is why I wanted to use young people from Hackney,” he explains. With his £300 grant, Thomas will certainly be able to afford more than four packets of chips this time around. Instead, he plans to put the money towards better equipment and production when he begins shooting in January. If all goes to plan, part two of Who am I? will be finished in February, with a screening at 93 Feet East soon afterwards. For Thomas, though, making the two films has been part of a wider moral purpose. In an effort to wage war on knife and gun crime in Hackney, he has been in touch with local schools, sending them copies of the film and offering to participate in talks with schoolchildren. So what does Thomas think the council can do to prevent such crime around Hackney in the future? “They need to create more things for young people in Hackney to do,” the young filmmaker declares. “When I was a kid there were more youth centres, but not any more. Last year’s riots influenced Thomas too, and he is penning a new film about them as we speak. “I just like helping people and getting my work out there in the hope it’ll make a difference,” he adds. Having been an actor for eight years, Thomas is certainly no stranger to the film industry. After meeting Mick from Eastenders (the actor Sylvester Williams) in his school corridor – who encouraged him to sign up to acting classes – Thomas went on to land roles in The Inbetweeners, Harry Potter and, more recently, a film with Pierce Brosnan which was shot on Brick Lane. At the moment, he works as a painter and decorator on the side, but hopes filmmaking and acting will usurp more and more of his time. He acknowledges that for young people in Hackney, the film industry can be hard to crack. “If you’ve got no funding, or no connections, it can seem impossible,” he admits. Luckily for Thomas, this new grant should make his impossible dream just a little more possible. To find out more go to “WHO AM I?” on facebook.